STK is a unique concept that artfully blends the modern steakhouse and chic lounge into one - offering a dynamic, fine dining experience with the superior quality of a traditional steakhouse. 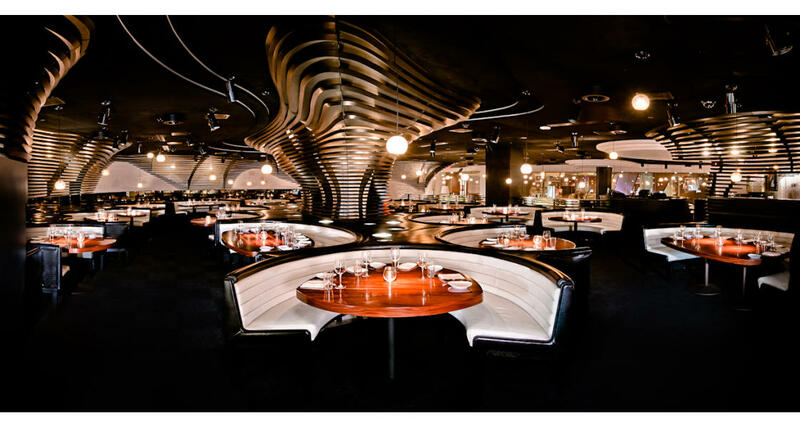 STK distinguishes itself by focusing on the dining experience as a whole versus any singular aspect of a good night out. It’s not just the food, sleek décor, in-house DJ or elevated Happy Hour offerings, it is the combination of all these things that creates the Vibe Dining found only at STK. The menu features reimagined classic American cuisine with unique local flair infused into each menu. STK’s transparent and traceable beef program brings guests exceptional cuts of meat and craveable rare dishes seldom found in restaurants. Signature dishes include bite-sized Lil’ BRGs made with Wagyu beef, Bigeye Tuna Tartare with soy honey emulsion, and, of course, the highest quality and cuts of steak. Maximum capacity for full restaurant buyouts seats 320 and standing capacity fits 650. STK also has smaller private dining rooms available as well.